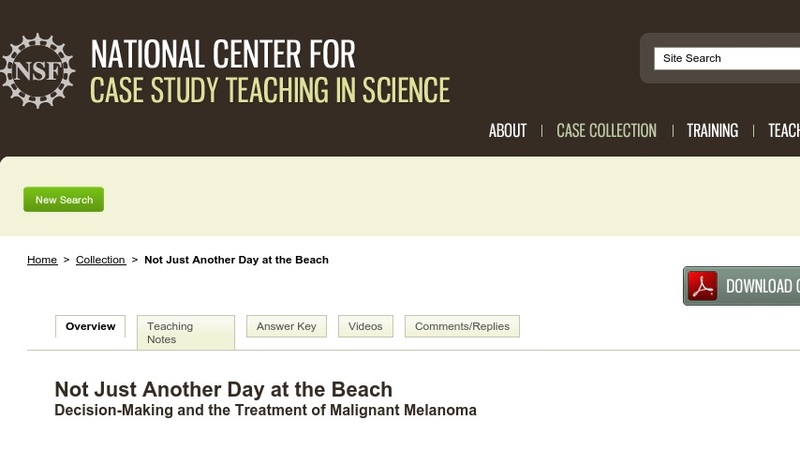 Students read about a case of melanoma that occurred over 10 years ago and then discuss issues faced by cancer patients and their families in making difficult medical decisions. Because the case presented is 10 years old, changes since then in the way intractable cancers like melanoma are diagnosed and treated also can be explored. The case was designed for a lower-division undergraduate course in general biology, but could be used with more advanced students.